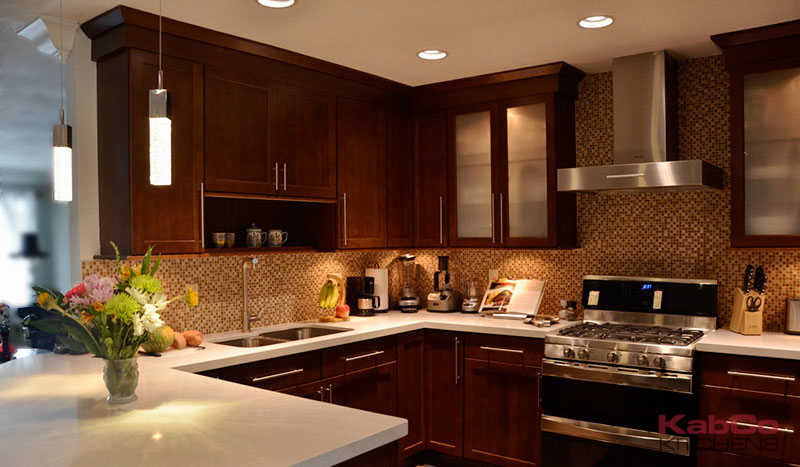 A great modern look in a small space using Waypoint Living Spaces Cabinets. 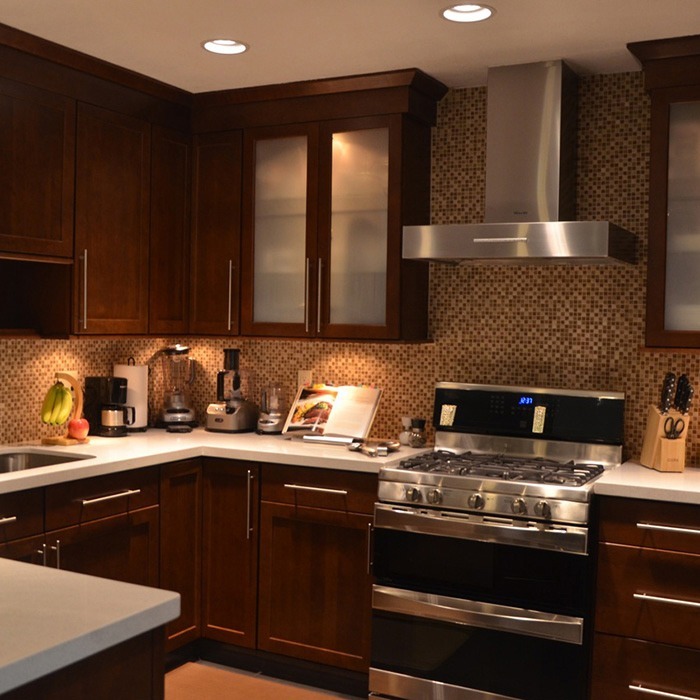 These shaker style cabinets paired with sleek quartz countertops update and add function to this compact kitchen. 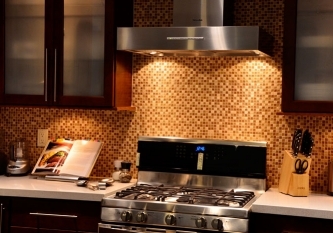 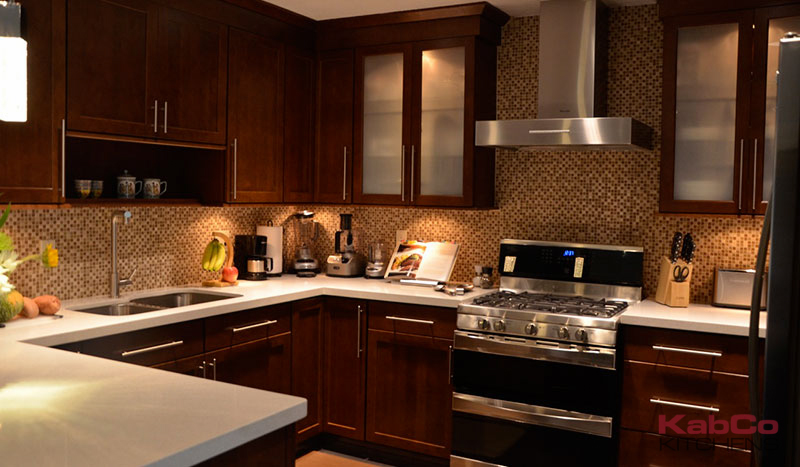 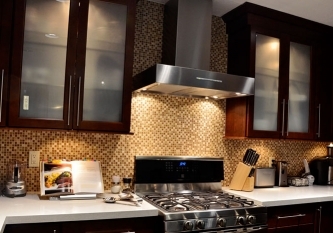 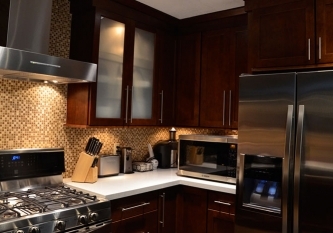 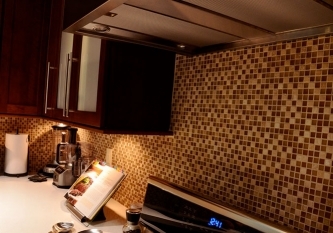 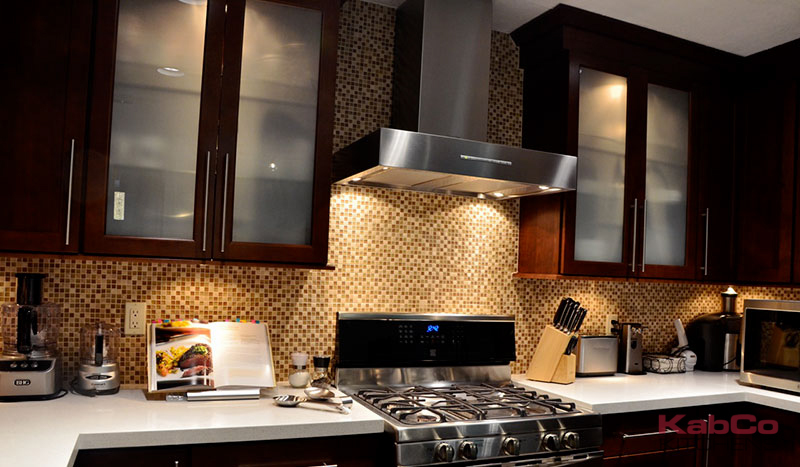 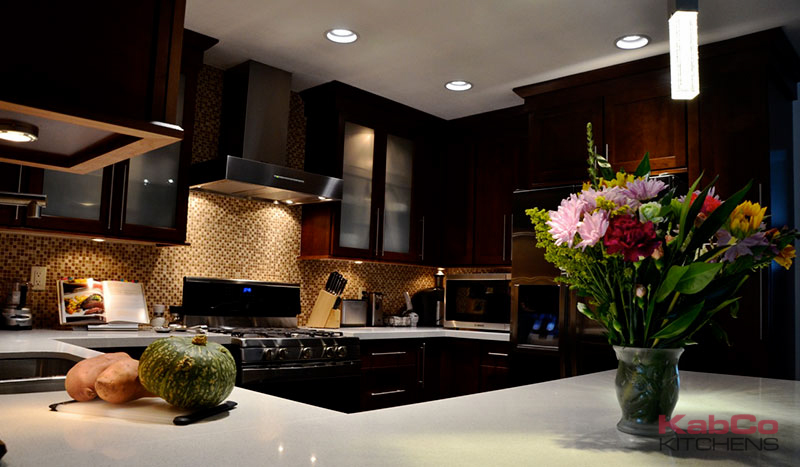 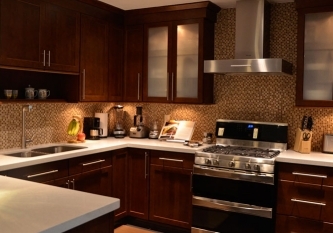 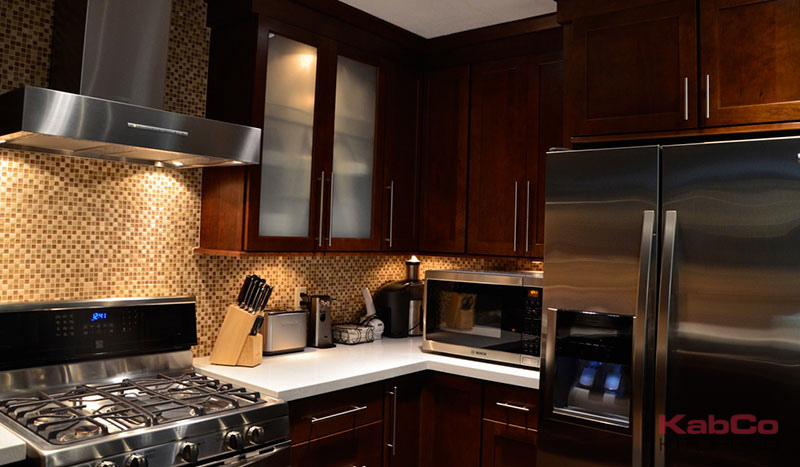 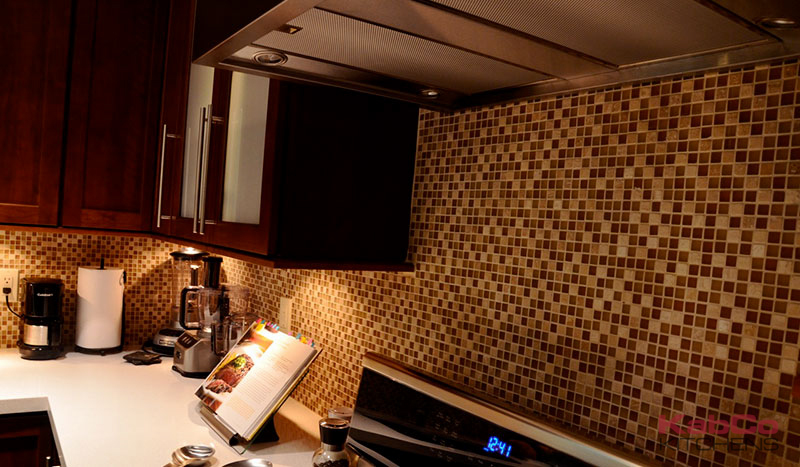 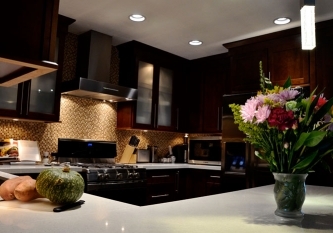 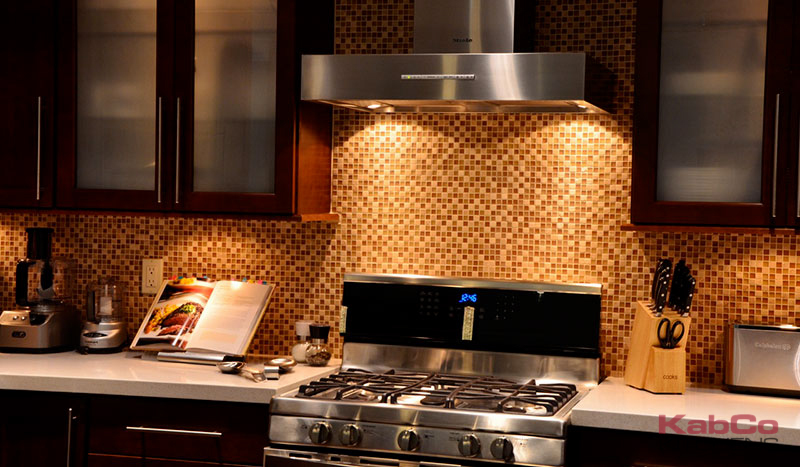 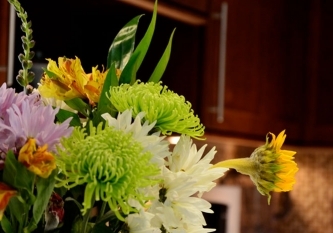 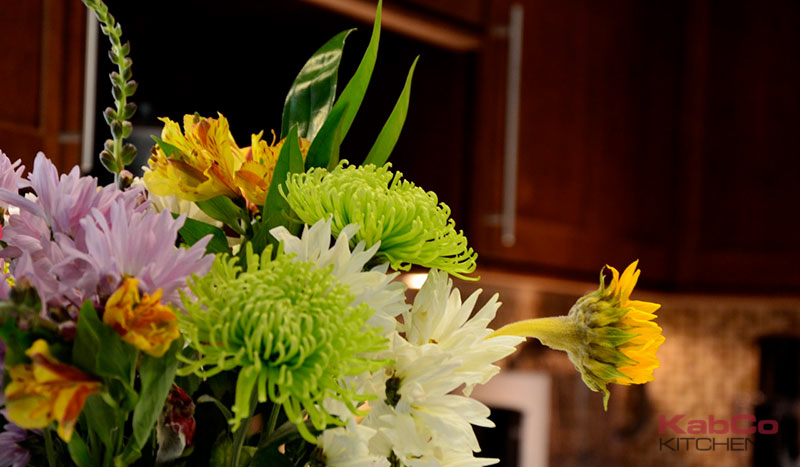 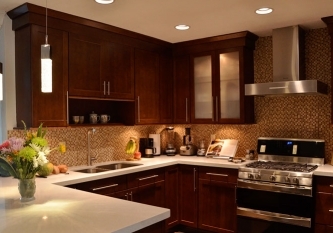 Accented with a 1×1 mosaic tile backsplash, Stainless appliances and ample lighting.